How to buy the right water heater for your home. This expert buying guide discusses conventional storage, tankless, point-of-use, and solar water heaters. 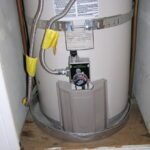 Whether or not you are in the market for a new water heater right now, read this article. It’s important to be prepared for the day your water heater gives up the ghost—which it’s likely to do if it’s a few years old. 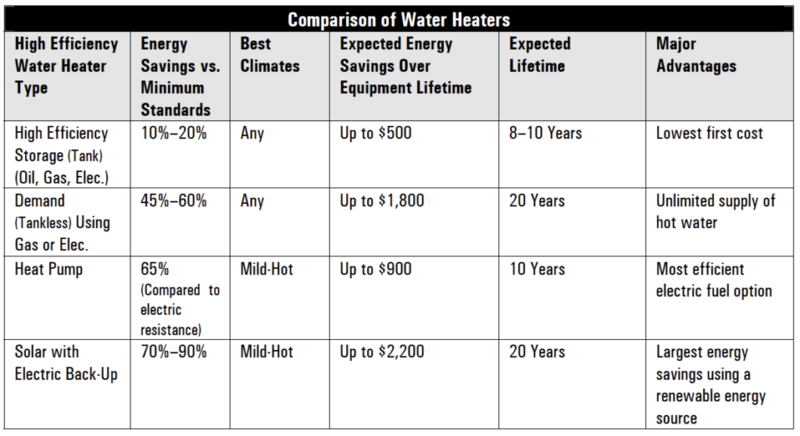 Even the best storage water heaters only live 8 to 10 years. When your water heater quits, instead of scrambling to replace it with one just like it, you can seize the opportunity to make a smart choice that may save you money and operate more efficiently and effectively for a long time. Today, the old familiar tank-style water heater isn’t your only option. A raft of new water heaters has entered the marketplace. Your challenge will be to pick the best one for your home. Buying a water heater is an important decision. This is an expensive appliance, and it’s going to be heating your water for a long time. According to the Department of Energy (DOE), the average household spends $400 to $600 a year on heating water, accounting for 14 to 18 percent of its utility bills. Because of this significant energy consumption, the best new water heaters focus on heating water more efficiently. There are four common types of residential water heaters: storage water heaters, tankless on-demand water heaters, instant point-of-use hot water heaters, and solar water heaters. Storage water heaters are the large, familiar white tanks that heat water using natural gas, propane, electricity, heat pump technology, or solar energy. 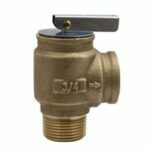 They heat and hold the heated water until it’s requested at a faucet, appliance, or fixture. For more, see Storage Water Heater Buying Guide. Tankless on-demand water heaters are relatively new to the scene. They are becoming increasingly popular, particularly in new construction, because they save energy by heating water only when its required, eliminating the energy wasted by keeping stored water at a high temperature. 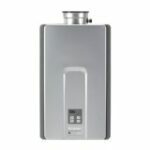 See Tankless Water Heater Buying Guide. Sink-top hot water dispensers are available in a variety of prices, styles and finishes. Point-of-use water heaters, or instant hot water dispensers, are slightly different because they’re not intended for supplying an entire house with hot water. Instead, they are typically employed in a single area, such as a kitchen, bathroom, or outdoor barbecue. See Buying Point-of-Use Water Heaters & Buying Hot Water Dispensers. 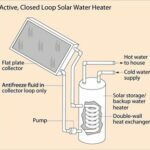 Solar water heaters supplement whole-house water heating by combining a tank-style storage water heater with a collector that uses the sun to heat water. Swimming pools heated by solar water heaters just “store” the water in the pool itself. See Solar Water Heater Buying Guide and Solar Swimming Pool Heaters. 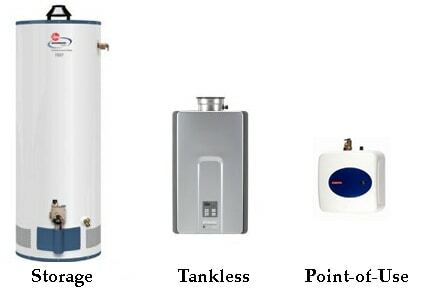 What is the most sensible water heater for your needs? You can buy an incredibly energy-efficient model, but should you pop the big bucks for it? Maybe, maybe not. You’ll need to analyze the situation. Considering all of the following issues is critical for making a smart choice. Payback period. How long do you intend to stay in the home? If your new water heater saves you $200 per year but costs $2000 more than a lesser option, you’ll need to stay in your home 10 years to break even. You will need to do careful analysis of a whole-house water heater’s out-of-pocket cost vs. the savings on your energy bill. The same holds true for point-of-use water heaters, though the cost vs. savings factor is less of a factor than sheer convenience. Energy prices. What are the most affordable and accessible fuels in your area? Local energy costs are critical. Natural gas rules the roost in most parts of the US, but some regions have very affordable electricity—a heat pump may make more sense in some of these regions. Climate. Some water heaters—notably tankless water heaters and heat-pump hybrids—have to work much harder in cold climates. Household needs. What are your family’s water heating needs? Do you have four teenagers who shower constantly, or are you living alone? How much hot water does your household need, and how often? Water heaters and dispensers create hot water by means of a fuel source—gas, electricity, or solar energy—and deliver it to a faucet, shower, or appliance, but there the similarities end. Storage water heaters store heated water in a tank, while tankless water heaters convert energy to heat water en route. 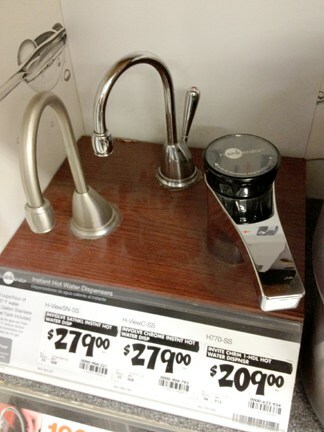 Dispensers are simply mini electric water heaters, usually installed under a sink, that deliver hot water on demand. Most water heater problems become self-evident quickly when the water being delivered is too hot, not hot enough, or not hot at all. The cause may vary depending on whether the water heater is powered by gas or electricity, but, in either case, the source of the power should be checked first. Installing a storage water heater is within the grasp of even a modest DIYer, particularly if the unit being installed is similar to the old one. If, however, you are replacing an old gas heater with an electrical one, it may be best to consult a professional. Installing a tankless water heater is a more intricate job, and local building codes may require you to use a licensed plumber. Solar heater installation is definitely a job for a professional. Putting in a hot water dispenser is an eminently doable job, particularly if the hole has already been drilled in the countertop for the spout.